provide recommendations including preventative maintenance which can limit the risk of future backups. A sewer backup is a devastating situation, which can cause expensive property damage and stink up the house. Because sewage backing up into the house is so traumatic, some companies will take advantage of this experience to sell expensive and unnecessary jobs. At The SewerPros, our goal is to provide you with reliable services that get the job done right the first time. When you hire us, we’ll work our hardest to ensure minimal disruption to your schedule and property. Our team is equipped to handle a variety of sewer problems and treatment solutions, and the sooner you call us for help, the sooner we can get your sewer into the best possible shape. For more information or to schedule an estimate, contact us today. & help identify any obstructions or damage causing clogged drains. A DVD report is created from the inspection for you to keep. We can clear out your sewer line using a cable with a cutter head on the end to mechanically drive through the line punching through any obstructions. At supersonic speeds, low-volume, high-pressure water delivers it’s cleaning energy into most inaccessible areas, blasting away stubborn deposits. Our dual service is a good idea if you’ve had multiple backups or suspect a more severe problem because a broken pipe or other defect may be the culprit. Pinpointing the direction & depth of your sewer pipe, this service is used when a damaged sewer line is present & will require a repair or replacement from the house to the street. The SewerPros can also clean out a slow drain in a sink or tub. In most cases slow drains are caused by a hair clog or other similar obstruction. Sewer inspections are our specialty and nobody does them better. Our technicians are experienced professionals that can identify any issues that may exist in the sewer and communicate those findings to our clients in a way that is easy to understand. We will make common sense recommendations to make sure our clients do not have to experience ongoing costly sewer issues. 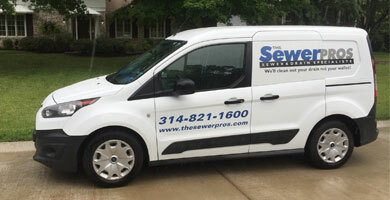 The SewerPros is a locally owned and operated business that specializes in sewer and drain inspection and cleaning. With your satisfaction guaranteed, you can call The SewerPros with confidence for any sewer service you may need! Our Clean Home Guarantee ensures that we will leave your home as clean as, or cleaner than we found it! We hate fighting through endless voice menu options – and we know that you do, too. That’s why at The SewerPros, there’s always someone here to answer your call. Whether you call in the middle of the week, or on a Sunday morning, you will be answered or quickly returned by one of our customer service representatives who will get you the help you need – immediately. We guarantee service in hours. The fact is, when you need emergency drain cleaning it can’t wait. That is why we guarantee service in hours, not days. Since your sewer or drain can back up at any time, we work every day, including Saturdays and Sundays. When you need us, we’ll be there. Have you been hit by hidden costs or additional charges before? You don’t have that worry when you call The SewerPros. We explain all costs up-front and you approve the price before work begins. No hidden costs and no additional charges will ever catch you by surprise. Our Clean Home Guarantee ensures that we will leave your home as clean as or cleaner than we found it! We are Real Estate agents and have used The Sewer Pros numerous times for our buyers as well as having their services provided by buyers of our listings. So we have been on both sides of the inspections. I have found them to be professional and able and they communicate well. We've used them two times with very good results. The first was an inspection of our new home, which included a video of the sewer inspection. 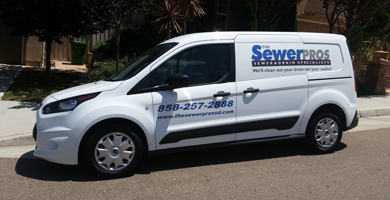 Recently, we had a sewer backup and they came after hours for emergency service... they were fast, friendly and reasonably-priced. Our tech., Brandon, was very helpful in explaining things and determined to help us out. I am rarely this pleased with a service company, but these guys were very professional and made a difficult situation turn out as good as it could. Thanks. The SewerPros specializes in performing sewer camera inspections for prospective new home buyers. We have performed over 50,000 camera inspections since 2011 and helped many of those clients avoid costly repairs after moving into their new house. Give us a call today to see how we can help you!